Today a group of New Jersey State Assembly members and legislative staff were our guests of honor. Key staff leaders of the Cape May Bird Observatory and the New Jersey Audubon Society joined the full Monarch Monitoring Project team to host the event. The political leaders in attendance are working to pass legislation that will protect monarchs, pollinators, and natural habitats while limiting the spread of invasive plants. 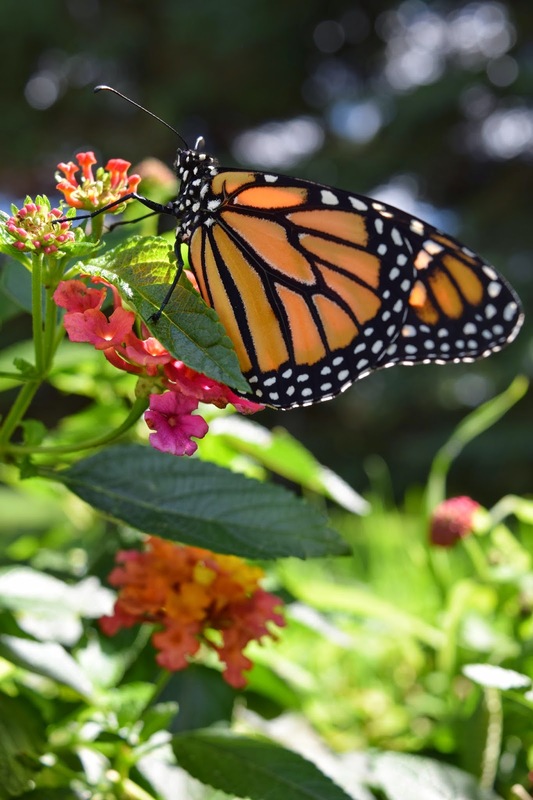 We were delighted to give our honored guests first hand experiences with iconic monarch butterflies and with the native plants and garden landscapes that they are working to preserve. Much of the day was spent in the gardens of Cape May Point. These gardens showcased the aesthetically pleasing and environmentally mindful way that native landscaping can offer habitat for a variety of animals and a sense of community pride. patch in Bill & Edie Schuhl's garden. The group of assembly members and legislative staff were able to witness many monarch tagging demos in the gardens. 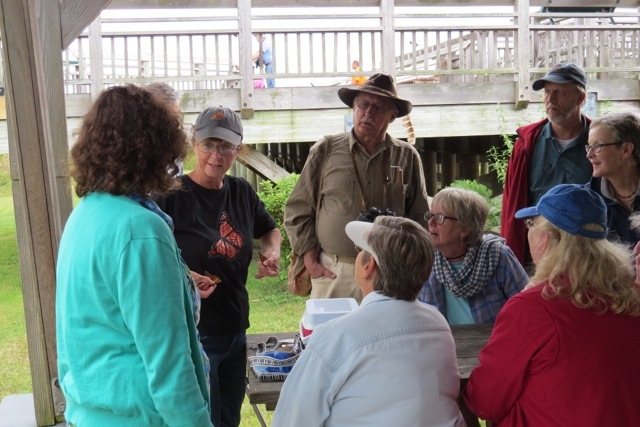 They also attended the public demo at Cape May Point State Park to see the educational outreach that is so vital to monarch conservation work. These public programs continue every Wednesday, Friday, Saturday, and Sunday through October 12.
at today's tagging demo. Photo courtesy John Reilly. The day was full of many insect sightings, information, good questions, and people happy to share answers. Conservation is tied closely to public awareness. 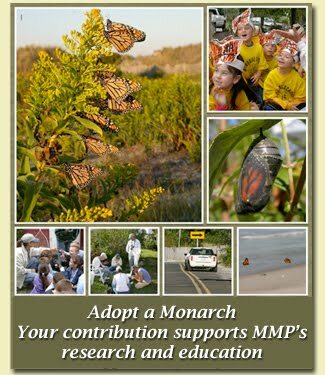 Today it seems we have taken a positive step toward monarch conservation. The visiting lawmakers seemed fully aware that we can all have lasting impacts if we chose to exist in a way that is mindful of the natural world. Wildlife habitat gardens support a wide variety of wildlife.